If you have headphones you like, there's more you can get out of them. While you’re probably accustomed to seeing us review headphones and speakers on our site, SonarWorks’ TrueFi software deserves a special mention if you’re in the audio production or audiophile community. Though it may seem a little strange to drop a hair under $80 on software, you may want to consider it if you want to maximize the performance of your existing setup. Musicians who want to remove as much influence from their equipment as possible should appreciate this software. However, it’ll take some getting used to in lieu of monitors. In a nutshell, True-Fi takes your headphones, and alters the signal that reaches it so that what you hear is as uninfluenced by the equipment itself. Basically, the software controls for your equipment. SonarWorks has built up a large database of headphones and their frequency responses. By logging each dataset that details how each individual model of headphones perform exactly, the software can apply corrections at a super-fine level of control. Additionally, the software can alter the frequency response to appeal to users of varying ages and stages of hearing loss. While that may not sound all that cool to younger users, older listeners should definitely check out the free trial—this isn’t simply a bump to the upper mids. It also limits exposure to highs that are outside your range of normal hearing (based on the age you input). That cool thing is, this software works with just about any computer, and because it handles the signal processing of all the audio on your device, you’ll get the most out of your computer without additional hardware. If you’ve ever messed around with Voicemeeter, this is a solution that takes all the guesswork and tutorials out of the equation. Just mash that power icon in the True-Fi app and the software does the hard work for you. While this is a really smart application of software, the underlying mechanisms behind it are actually fairly straightforward. SonarWorks has built up a large database of headphones and their frequency responses. By logging each dataset that details how each individual model of headphones perform exactly, the software can apply corrections at a super-fine level of control. This way, there’s very few (if any) errors along the range of frequencies. As you can imagine, this means that True-Fi is an effective tool when it comes to high-end listening and mastering. 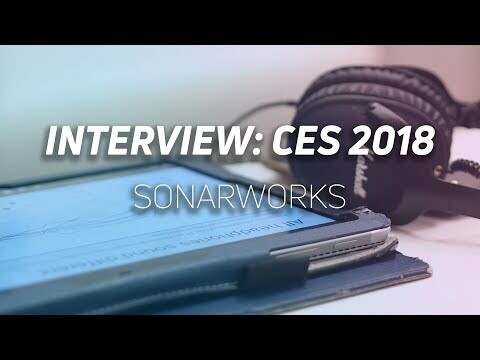 Of course, producers will want to gut-check their final mixes on an array of different common headphones and speakers, but you could also give the SonarWorks Reference 4 software a go if you’d rather just emulate those products. SonarWorks’ True-Fi program adjusts the frequency response to make the most of your headphones. Of course, the software doesn’t work for every set of headphones, so you’ll have to check it against the constantly-updating list of headphones supported. If your headphones aren’t on this list, you may want to hold off on plunking down the money for True-Fi, as it’s tough to predict when and which headphones will be added. You can also request headphones to be added to the software if you don’t see yours on that list. What does a flat frequency response sound like? If you’re not familiar with the benefits of a “flat” sound, it’s essentially the platonic ideal of what music equipment should offer. Meaning: in a perfect world, your headphones, amp, DAC, and whatever else you own shouldn’t alter the sound in any way from the original mix. Obviously, we don’t live in a perfect world, so as you can imagine there’s a lot of equipment out there that attempts to tailor its sound a bit to be more appealing to consumers. There’s nothing wrong with that, but there are some consequences for your sound. For example, by changing the frequency response you alter the ability of the speaker to reproduce sounds. Well, “duh,” you might say. But think of it this way: every sound, every note, every song will sound a bit off if you don’t hear the fundamental constituent signals with each of its frequencies at the volumes your brain expects them to be. When a system can’t reproduce notes at the same power across the entire spectrum of audible sound, your audio will sound less “clear,” and you may notice some other weird characteristics to the sound applied. This is largely the result of exaggerated auditory masking drowning out sounds that should be there. SonarWorks Modern signal processing is quite powerful, and SonarWorks’ True-Fi app breathes new life into even cheap headphones with a flat frequency response. However, a flat frequency response isn’t a type of emphasis many are used to. Many may find the bass “lacking” in that it’s not emphasized over other notes like it is with most consumer headphones. However, over time you should grow to appreciate being able to hear just about everything in the mix without the usual harmonics and quieter sounds getting masked out. If you’re an audiophile that’s strongly considering buying more equipment to get the most out of your headphones, you may want to look at software like SonarWorks’ True-Fi first. I make the same recommendation for speakers. Where a DSP is useful to make the most of your speakers, equalization software like SonarWorks’ True-Fi is useful to make the most of your headphones. However, this is a very powerful tool at a fair price. If a DAC or amp is doing its job, buying a new one shouldn’t affect the sound any, and usually the best way to improve your music is with equalization. Many audiophiles just embark on a journey to try tons of headphones to find the right one. However, it’s possible that you can just adjust the ones you have to be what you want! While it can take some work, tools like True-Fi exist to take the effort out of the equation. Obviously, you should give the demo a try to see if it’s right for you, and definitely confirm that your headphones are on their supported equipment list before buying.